Handmade goods. You see them at craft fairs and they're all the rage on Etsy, but what's it really like to make a living off your craft? Owner of Apex Dog Collars and Leashes provides some insight on how to have a successful online handmade goods store. Troy Teixeira is relatively new to the crafting business, but in about 1 1/2 years, he has carved out for himself a niche market selling custom dog collars on Etsy. You can admire his designs in the title image and below. Having been a part of the 9-5 world, Troy's favorite part about working for himself is the hours. Instead of sitting in traffic each day, he can break up his work day into manageable chunks. "I know 24-hour work days don't sound attractive to people," he says, "however I have a lot of time in that 24 hours to take breaks and do other things while still meeting every commitment." If you like the consistent schedule of a 9-5 job, running your own business might not be for you. However, if job flexibility is most important. Owning a business or doing freelance work can be a good alternative to "the grind". One thing that Troy prides himself in while being self-employed is his quick turnaround time for orders. "There have been numerous times I've received orders after midnight and have made the collar immediately to have it in the mail the next morning," he says. While there are many benefits to being self-employed, this lifestyle does come with its challenges. For instance, a company of one means that you have to do everything yourself. Troy says, "The biggest challenge of running my business is the fact that I don't have help from anybody else. Everything I create is my idea, my hands creating, my out-of-pocket expenses, my blood sweat and tears." When you do everything yourself, you will likely find that there are parts of it that you are good at and parts of it you aren't; parts of it you enjoy and parts of it you don't. Troy has found that it's best to keep up with the less fun parts of running a business, "I'm no accountant," he says, "so doing my income and expenses and keeping track of all of my inventory of materials has been a little bit of a headache for me, but since I'm not a procrastinator, the stuff is done almost in real time every day." It can be difficult to find prices that are both competitive and also high enough to sustain a living. Troy puts his focus on designs that are cost effective to make. "I now have over 230 items in my Etsy store. Most of my focus is on dog collars, as those are my best sellers. I have unlimited color and pattern combinations, along with more than a dozen different designs. I make sure every design I consider putting into production is something that can be turned around quickly for customers." It's important to know your market, too, "I won't spend 3 to 4 hours making super complex designs for large dog collars when folks want to pay the lowest price possible for a collar," Troy says of his designs, "I think I've found the perfect balance now…"
Troy didn't start his business on Etsy, but he's seen a lot of growth since he opened his Etsy store September of 2018. He's received a lot of positive feedback from customers who had been frustrated by unresponsive sellers or low-quality goods in the past. "I pride myself on giving my customers the best quality, customer service, and quickest turnaround times humanly possible," he says. 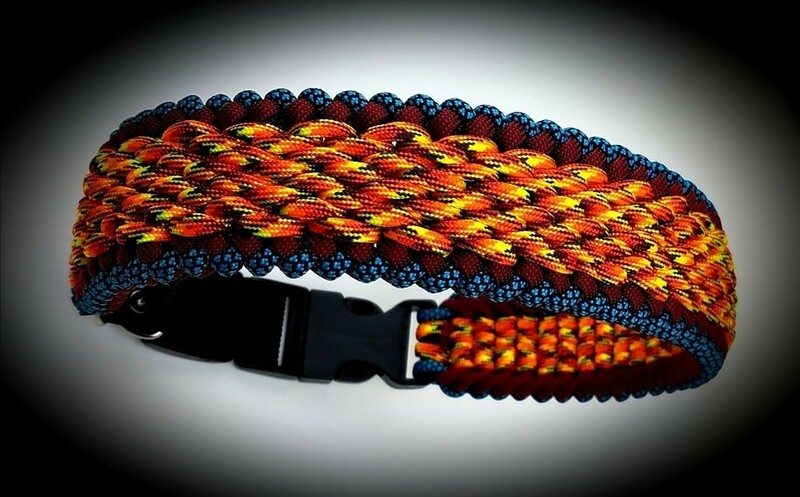 Troy's custom paracord business used to be called Paracord Solutions, but recently it has undergone a name change to Apex Dog Collars and Leashes. "Being that I specialize primarily in dog collars and leashes I didn't want misinterpretations with the [old] name confusing people about what I sell . 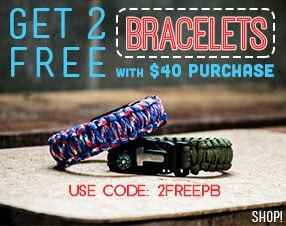 . . there are a lot of folks who have no idea what paracord is. 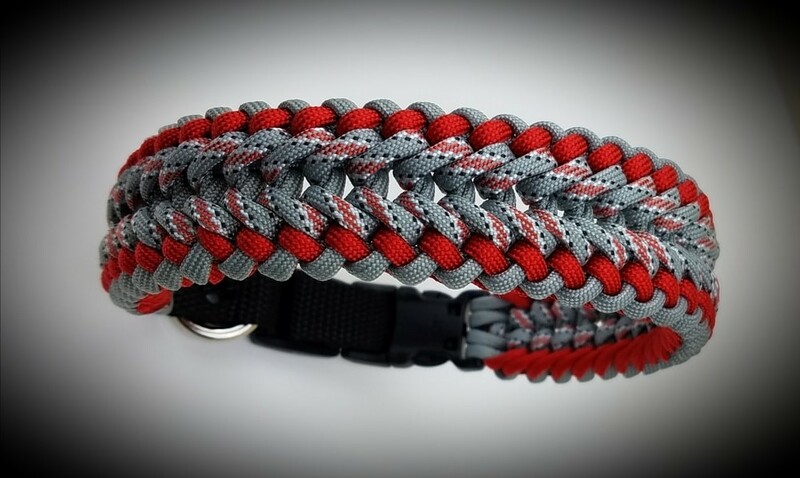 There were lots of times when I was speaking with potential customers, and the name Paracord Solutions raised questions about what paracord is and what I create and sell." Choosing a new name came easy for Troy. "When I arrived in Utah, my 360-degree view became snowy mountains, so it was a no brainer coming up with a name for my company which would not only relate to where I live, but would describe the professionally handmade premier paracord dog collars that I sell." Troy says having a recognizable logo "has made a huge difference." He dreams of the Apex logo becoming recognized nationwide as a top-of-the-line product in the category of handmade collars. "Offer work that far surpasses the millions of other products being offered by folks who really don't put in the effort, who don't put in the commitment or dedication, and who don't care about the kind of quality they are selling. Be different! And if you're going to make things that lots of others make, put your own twist on it. Think about new ideas around the clock. I've come up with dozens of new ideas on how to improve my old ideas which are already the best in my products categories. Don't sit around on your hands waiting for someone to come up with an idea that you can copy. Always come up with your own ideas and always look for ways to improve." 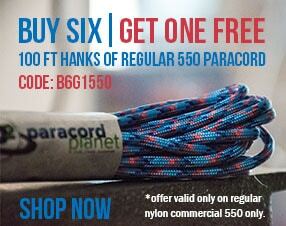 Are any other paracord business owners reading this? If so, comment with tips on what has worked for you!